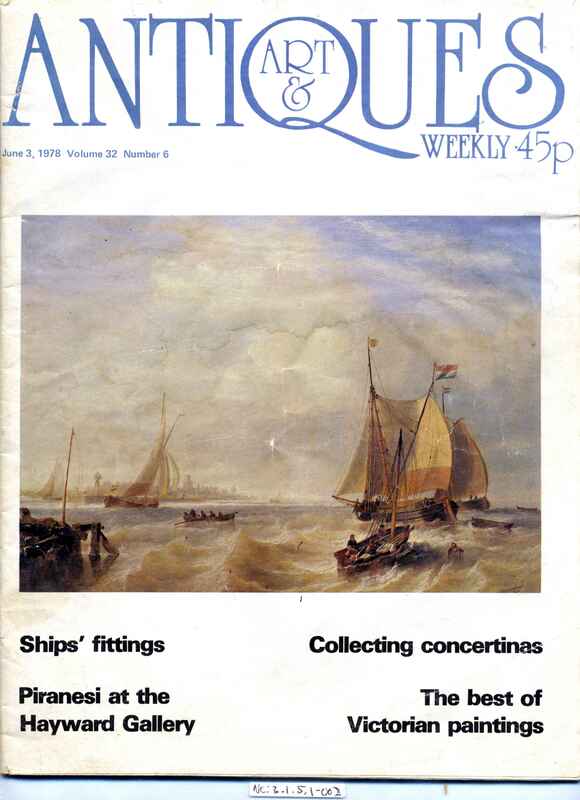 Full Description: A full copy of Art and Antiques Weekly, Vol 32, Number 6. dated June 3rd 1987. 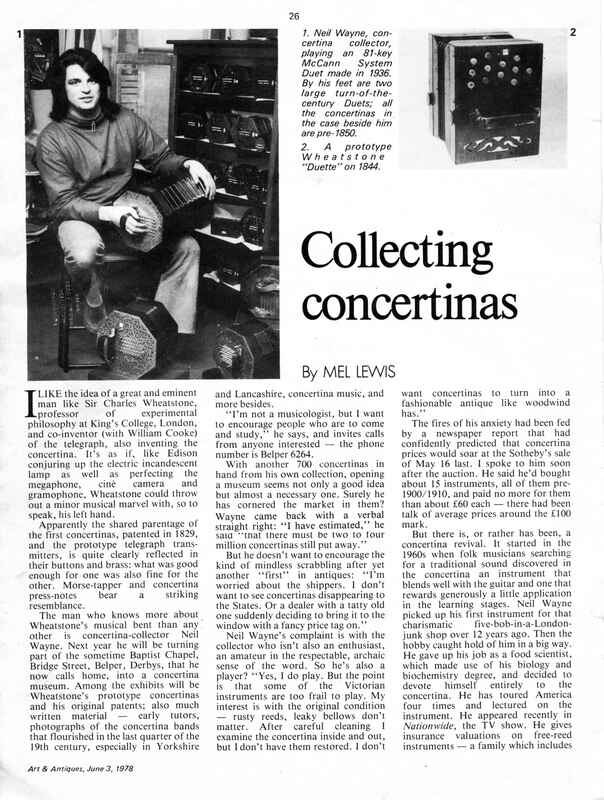 The magazine includes a three-page illustrated article on "Collecting Concertinas" featuring Neil Wayne, as interviewed by Mel Davis. 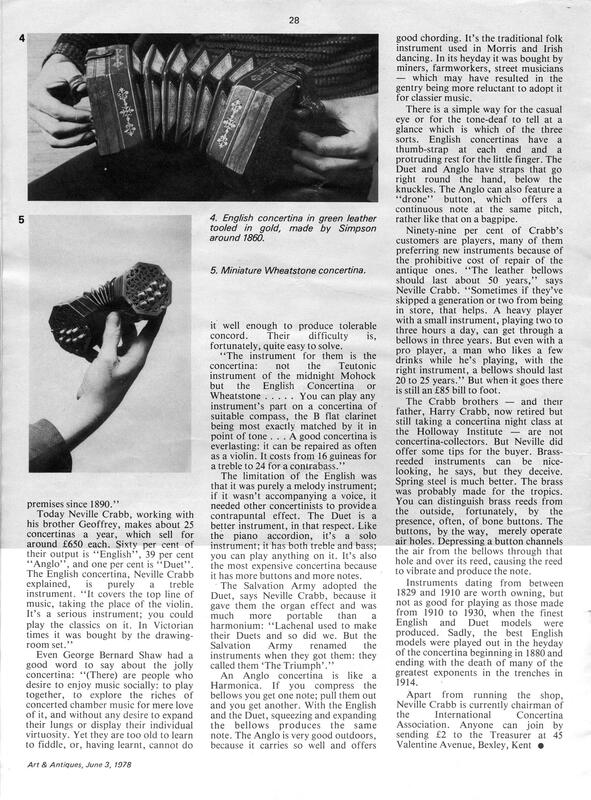 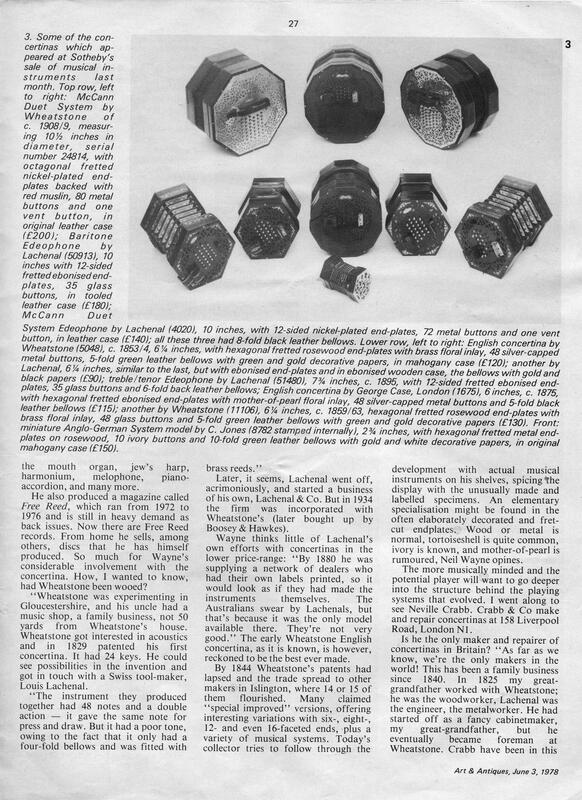 The article followed the Sotheby's sale of May 16th 1978, and details Wayne's creation of the Concertina Newsletter, Wheatstone's history, and the reasoning behind his concertina collection.